I have NO idea if this could be one and the same: Jørgen Wadum, Vermeer Illuminated. Conservation, Restoration and Research. With contributions by L. Struik van der Loeff and R. Hoppenbrouwers (1994) The Hague. 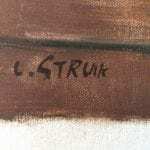 Have not found anything else by L. Struik as the painting is signed. Research is fun, join me! 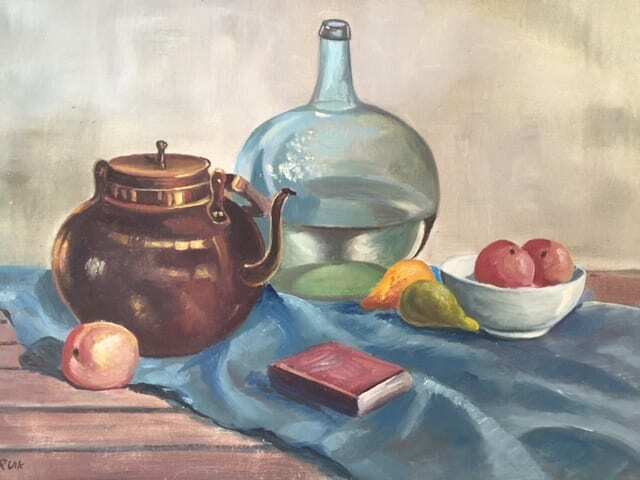 This is painted on a flat linen canvas. 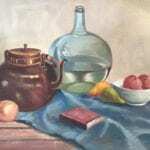 The image measures 19″ x 24″ with a wide border. We hope you are pleased as all sales are final.